The versatile X0 hub boasts a speedy 6.9 degree engagement and is available in both XD and conventional 10-speed driver body versions. Weight? You’re looking at 130 grams (front) and 250 grams (rear). 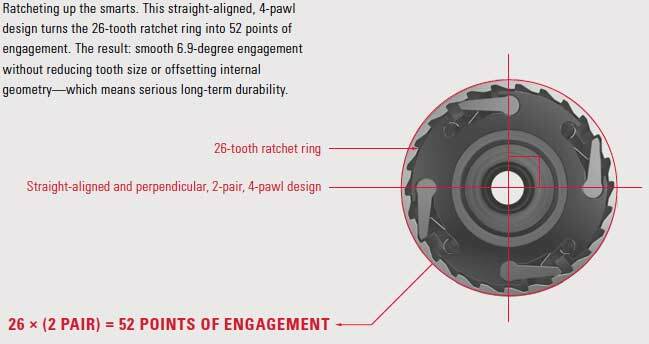 The 3D forged hub shell features angled flanges, which SRAM claims help reduce the risk of broken spokes. 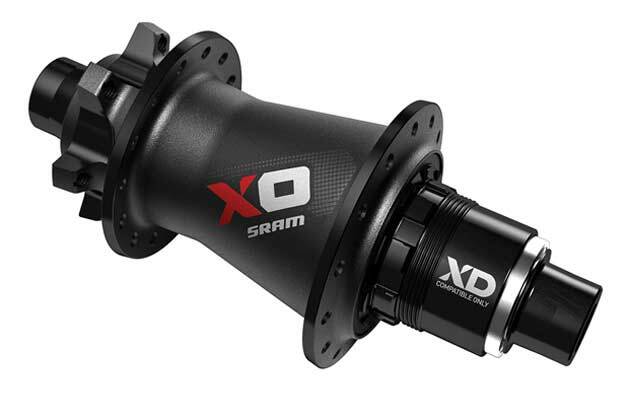 The X0 hub is available in both 28 and 32 spoke-hole versions–in other words, this thing plays nice with both 1X and multi-chainring set-ups. Some people really nerd out on hub engagement. I tend to think this is always a bit overplayed (unless you’re a trials rider) and that durability is really the most important feature of a rear hub, but, hey, to each their own. For the quick-engagement fans out there, I offer you this illustration. As for the rolling bits, you’re looking at standard, radial cartridge bearings, which require no preload adjustments. The hubs are easily converted (sans tools) from old-school, quick release to 142×12-thru axle. No DH version is available as of yet. Speaking of availability, you should expect to see these things in bike shops come December.